I've been wanting to do this for awhile now. I've always wanted to make my own Transformers fan site, and after a few false starts, dead starts, and generally half baked ideas, I've put thought to do exactly what I want to do and how I want to do it. I've taken my time and planned it out fully, I've been sitting on this address for a while now. Just wanting to do it right. I've been blogging on various social media for years, but without focus or aim. So, I made sure I took the time to fixate on exactly what I wanted to do. So with that in mind, and with this being the weekend of the last BotCon, I'm finally launching my idea. So here it is. 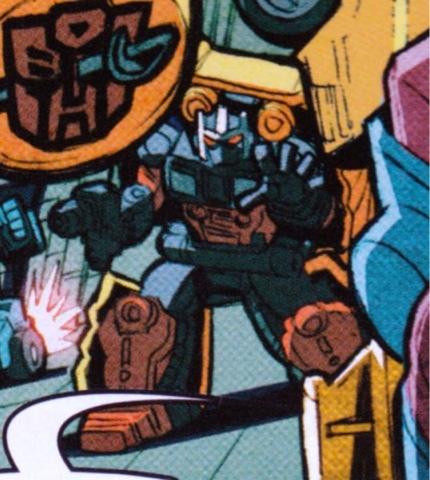 My version of a fansite/fanzine/blog that delves into my fandom of Transformers whole hog. Me? I'm Rob (from RFC), I've been around Transformers and it's fandom for a lifetime and have an endless supply of stories and opinions to share. My aim is provide an entertaining and hopefully informative view into the world of Transformers and fandom from my perspective. Hopefully I follow through and those reading can enjoy what I'll be doing here.